Best Villains in Children’s Lit, 11-1. She might seem adorable, but the lime-stealing moppet has her eyes on Laurie, burns Jo’s manuscript and probably only pretended to cry when Beth died. The worst kind of bully, one who relies on a cruel mind rather than strong fists and terrorises the whole school with two marbles. Even scarier than a black marble? A slab of Turkish Delight when offered by this lady [or, indeed, in any circumstances: why would anybody want to eat Turkish Delight?] She’s a bit more fun as Jadis in The Magician’s Nephew [the whole destroying entire planets with one word is a good start] but she’s definitely at her scariest in The Lion, the Witch and the Wardrobe. And it’s hard not to feel that she was a bit cheated when Aslan trumps her Deep-Deep Magic with even deeper magic that nobody ever mentioned before. Another villain who it’s hard not to secretly root for a little bit, particularly as I have a lot of sympathy for those afraid of crocodiles. 7. The Morrígan, The Hounds of the Morrigan [Pat O’ Shea] and The Battle of Giltspur [Cormac MacRaois]. Both of these books from the 1980s pull the Morrígan out of the shadows of Celtic myth and let her spook modern Irish children. My favourite moments include the horrible thumb in Hounds, the evil seaweed in Giltspur and any time the Morrígan gets all ‘I’ve been around for thousands of years of horrible doom and you’re just little children, what can you possibly do to me?’ I’m a big fan of both of these books and hope that The Keeper continues the interest in one of our peculiar national treasures: a raven-goddess with a heart of shadow. 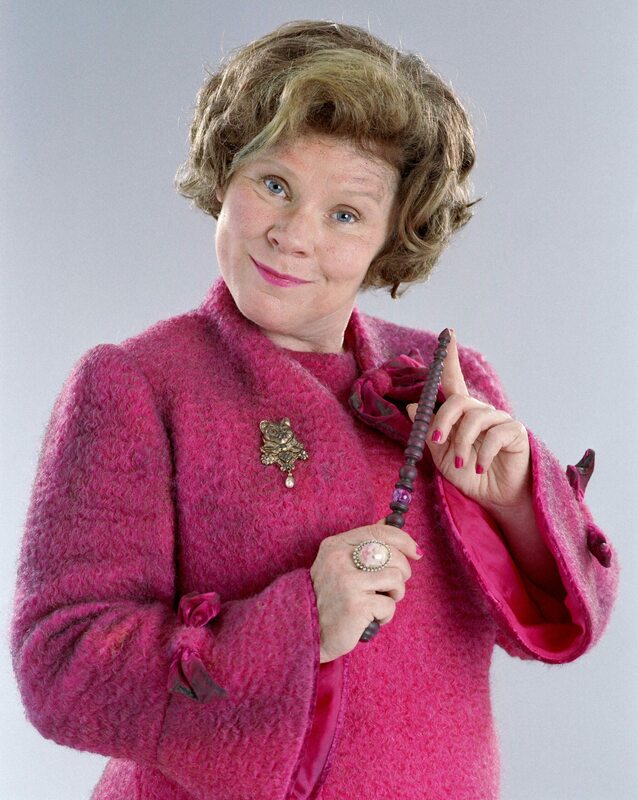 Okay, okay, Voldemort is clearly the big baddie here but I think Umbridge is a more memorable villain, especially as you are more likely to meet her type in a school corridor than He Who Must not be Named. Her horrible adherence to rules, her hatred of Centaurs and Muggles, not to mention her love of kittens…she might be more inclined to utter ‘Hem hem’ than Avada Kedavra but she’s one of the most despicable forces in Potterland. Veruca has some solid competition from Mike Teevee and Augustus Gloop but I think she wins the most obnoxious child award here. There is her awful father, her fondness for fur, her constant complaining and her well deserved expulsion from Wonka-land. And did I mention her name? 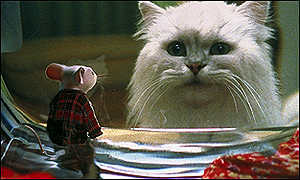 A lot of the books that I loved when I was a child had plucky wild animals as their main characters. Whatever type of animal was the hero – fox, badger, mouse- the primary villain was usually the same: man, out to ruin the lives of animals by laying traps, building houses and generally going around messing up the environment. Luckily, children are never that bad in these books and are usually helping rabbits and foxes escape, so no danger of being too spooked. 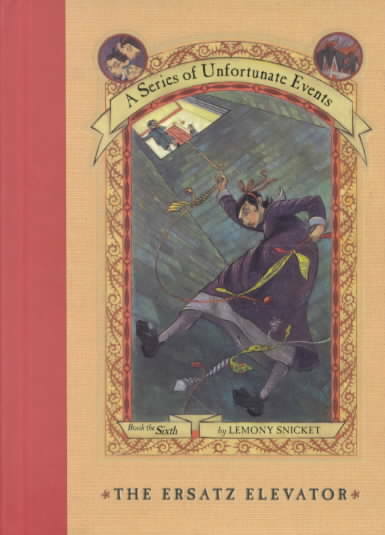 Count Olaf has a lot going for him: pyromania, an array of ludicrous disguises and sidekicks, a series of despicable schemes to steal money from the Baudelaire orphans, the delusion that he is a great actor and a really quite scary eye tattoo. Olaf is both ridiculous and rather creepy when it comes down to it: a truly splendid villain. Like several villains on this list, Mrs. Coulter plays into an old archetype: the beautiful woman who snatches poor innocent children. There’s a lot to be wary of with this sexist witch stereotype but Mrs. Coulter is both a more complex figure than that and also has a male daemon that is part of what makes her so terrifying. 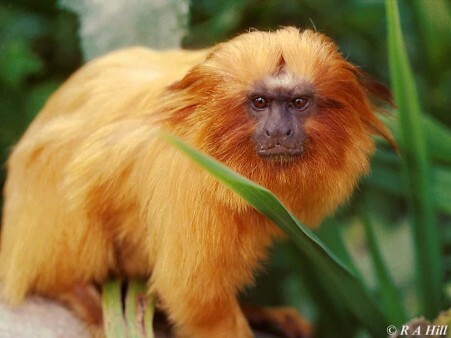 Indeed, the sleek golden monkey is maybe ever scarier than Mrs. Coulter, hanging around the edges of the action, quite capable of baring his teeth when he needs to. But as a pair…shudder. I’m still recovering from the first scene where they appear and the smiling Mrs. Coulter carefully takes the letters-to-parents from the children she has kidnapped and THROWS THEM INTO THE FIRE when they are not looking. In a series full of memorable villains [including God himself] Mrs. Coulter and the golden monkey stand out as the most terrifying. Any villains that haven’t been given their due? Ones that don’t deserve their spot in the halls of infamy? Best Villains in Children’s Literature, 12-22. 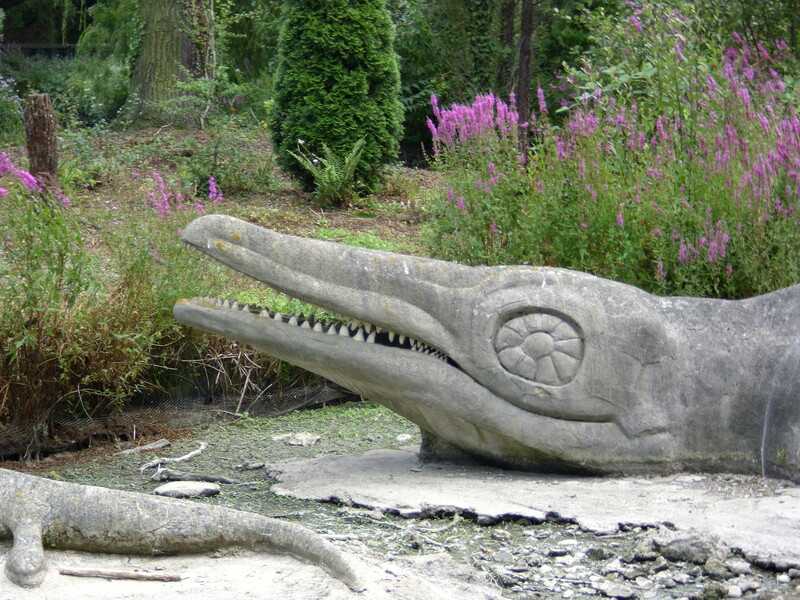 Is there anything scarier than a giant stone dinosaur in a London Park!? Perhaps a mallet wielding Queen? Or a Captain with a hook? Or a particularly persistent shadow? Great name: check. Diabolical fashion sense: check. Hatred of orphans: check. Owner of the scariest sugar bowl in children’s literature: check. Alright, Nancy, you can pretend to be Margaret’s new best friend all you like but we’ve got your number: all your sensational secret clubs and chipper chat about boys and periods masks a dark, dark soul. Pretty much the model of the frenemy before anybody invented that word. 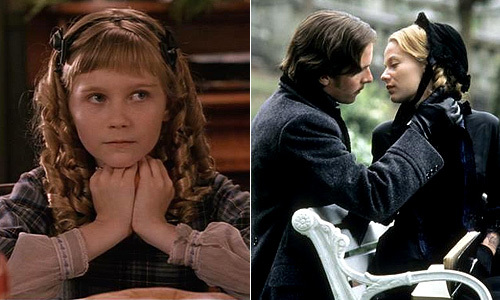 A classic villain in the megalomaniac mode, Valentine has many of the hallmarks of a good children’s lit villain: a shadowy secret, hatred for the poor, a grand scheme to save London’s elite and one attachment that his kryptonite (his beloved daughter). Plus, I’m still gasping from what he does in the first chapter. 19. Skullduggery Pleasant, Skullduggery Series (Derek Landy). Alright, so technically he’s the hero of this series but without being too spoilery, this skeleton definitely has some skeletons of his own in the closet (like looking at a mirror in a mirror or something equally head-bending). And he reminds me of Skeletor so it’s hard for me not to love him. A close runner in the villain stakes for me in this series is China Sorrows, who wins the being ruthless without breaking a sweat award. 18. Mrs. Bedonebyasyoudid, The Water Babies (Charles Kingsley). Also, sort of not a villain but most definitely terrifying. The name alone says it all. 17. 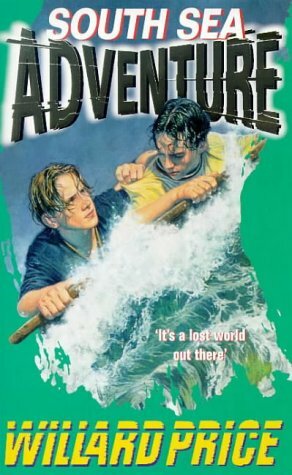 Merlin Kaggs, South Sea & Cannibal Adventure (Willard Price). One of the most despicable villains from my favourite adventure series when I was younger. Unlike the goody goody heroes who try and snare animals for their Dad’s zoo on Long Island (making them the real villains of the piece) Kaggs is out for himself and doesn’t care how many pesky kids he has to leave at the bottom of the ocean to get some gold. Plus, who doesn’t love a villain disguised as a preacher? What could be spookier than being hounded to the corners of the magical universe by a shadow? Try a shadow that never tires, that will claw at your face, scratch at your soul, and pursue you until you have no option but to turn and face it…shivery stuff…. Loveable rogue or gas-guzzling, money-burning monster? 14. Miss Trunchbull, Mathilda (Roald Dahl). I could fill this whole list with Roald Dahl villains but will restrain myself to two. Miss Trunchbull is certainly one of the most memorable. Who could be nasty to Miss Honey, the nicest of all schoolteachers? The sort of Headmistress who hurls her students around the playground, that’s who. 12. The Queen of Hearts, Alice’s Adventures in Wonderland (Lewis Carroll). Tormentor of hedgehogs and flamingos, decapitation-lover, croquet fan…off with her head! Eleven-numero uno to come later in the week – what other villains are due recognition? Please accept my WordPress website into your folds. Please be kind towards its faults and accept pictures of leaves as compensation for any technical glitches. Please read the menu section if you want to find more about my writing. Please know that I will add some posts sporadically but will also likely forget the password to operate this site and fail to be online all the time so, internet, please be forgiving if I neglect you.